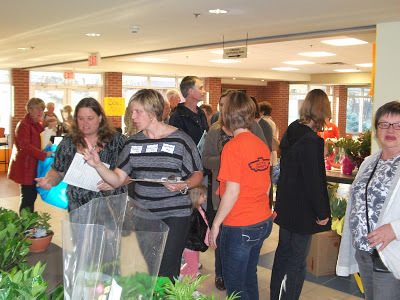 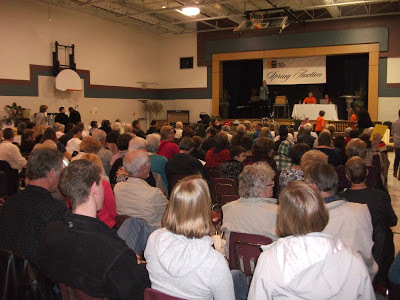 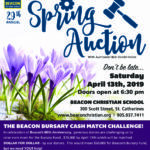 Our annual Spring Auction is a wonderful community building event that raises funds for Beacon’s annual operating expenses and the Beacon Bursary. 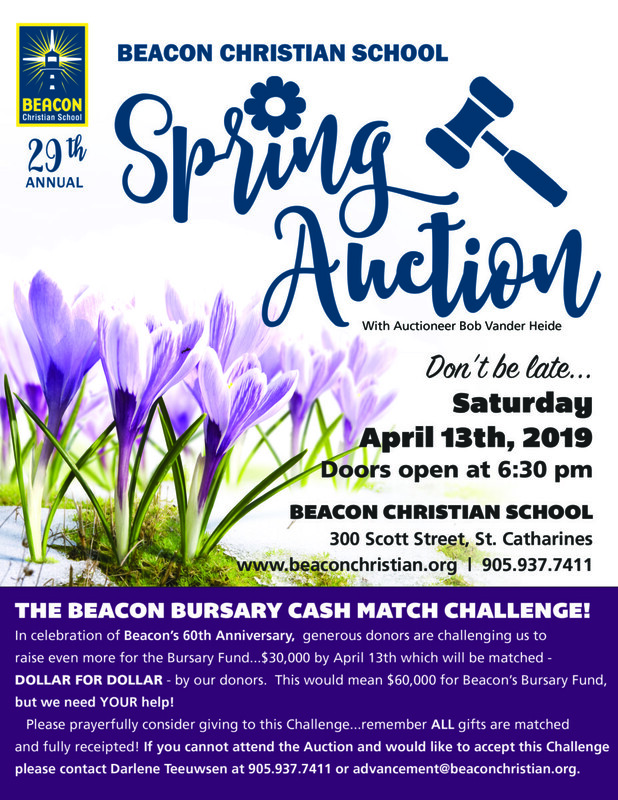 Through the generous donations of community businesses and individuals, over 300 items and vouchers are available for purchase through the pre-auction, silent auction and live auction. 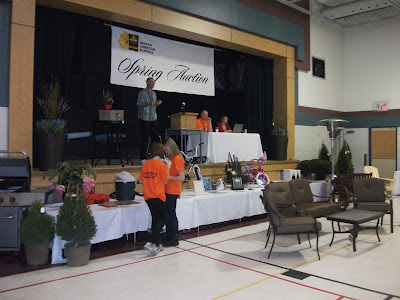 Here’s the link to the 2019 Auction List. 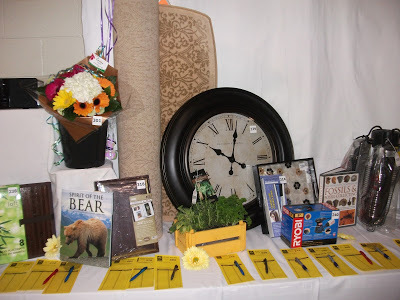 Thank you to our generous donors for giving us so many wonderful items to bid on! 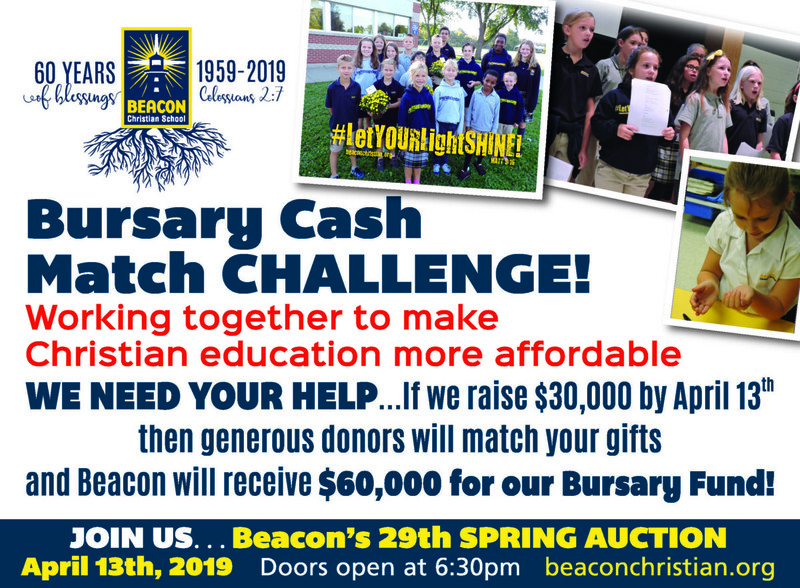 We hope you can join us Saturday, April 13th, 2019 for this fun event! 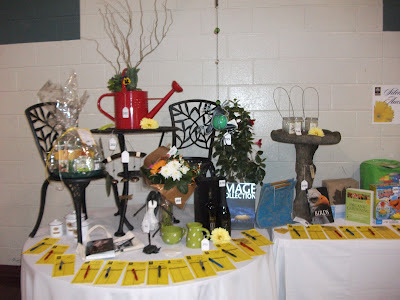 Doors open at 6:30 pm. 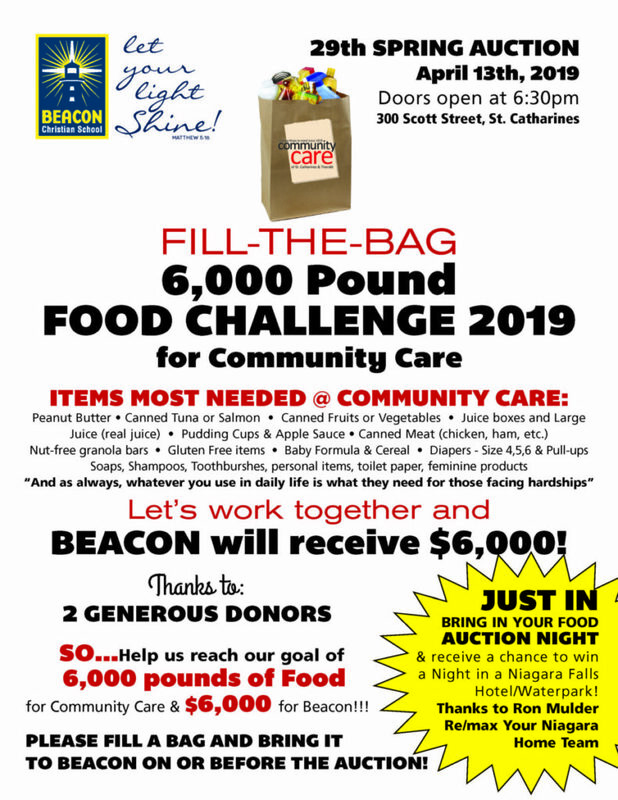 Don’t forget your food for Community Care.